Japanese boxwood (Buxus microphylla var. japonica) has been cultivated as a landscape plant in the United States for more than a century. Hardy to U.S. Department of Agriculture hardiness zone 5, Japanese boxwood is resilient to cold temperatures as low as minus 20 degrees Fahrenheit. Japanese boxwood grows with dense foliage, making it useful as a landscaping and topiary shrub. Boxwood shrubs must be trimmed regularly to maintain a neat shape. Time trimming appropriately to avoid doing damage. Japanese boxwoods must be trimmed regularly in their first two years of life. Cut plants back to 6 to 8 inches as soon as they're planted. Early trimming is the first step in training boxwoods into a desirable landscaping shape. In the fall of the first year, trim boxwoods again, cutting them back to half their size. Cut them back to half size again the next year. Severe pruning in the first two years encourages Japanese boxwoods to develop more branches leading to a full look. Wait until fall to trim boxwoods. Do not trim in summer when new growth may develop only to be subsequently killed by chilling winter temperatures. Begin giving Japanese boxwoods their shape in the third year. Once your shrub has grown as tall and wide as you desire, start trimming it regularly to maintain the desired look. Give Japanese boxwoods a slightly rounded or pointed top, with slanting sides that create a wider base than top. The design allows lower branches to receive sunlight. If Japanese boxwoods are being grown to become topiaries, begin trimming them into specific shapes at this time. Improper trimming practices may not kill Japanese boxwoods, but plant growth could be weak and irregular. 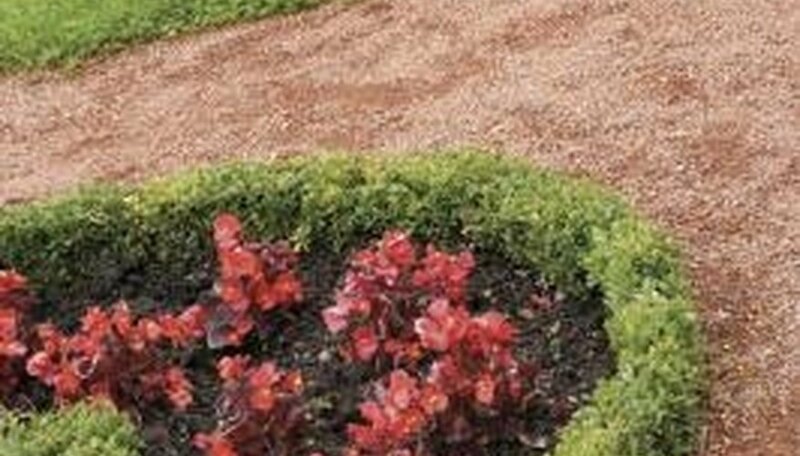 Trim boxwoods in late winter or early spring, when no new growth will be compromised. If at all possible, avoid trimming altogether in spring, when new growth is flourishing. Dwarfing and stunted growth may occur if boxwoods are trimmed in spring. Trim Japanese boxwoods regularly to maintain their size and appearance, but this is not the only reason to prune the shrubs. Dead and damaged growth must be pruned away as soon as it appears to encourage healthy new growth and prevent the spread of disease, if any is present. If branches begin growing crooked or malformed, prune them away to maintain the overall strength and attractiveness of the boxwood. NC State University Extension; Growing Boxwoods in the Landscape; Erv Evans, et al. University of Georgia Extension; Pruning Ornamental Plants in the Landscape; Gary L. Wade, et al.